All good things come in threes: three leaf clovers, trilogies, and now this. 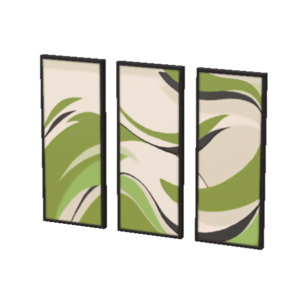 This three piece painting is a beautifully created piece that displays emotion, balanced composition, and flow. If you like it large then this one is for you. Renovate your home with this new set of post modern furniture that can bring back any dull bedroom back to life. 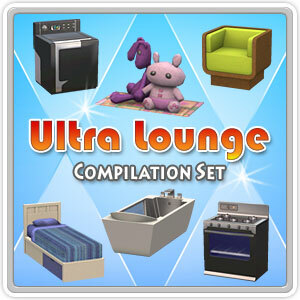 Get everything Ultra Lounge with this Compilation Set! 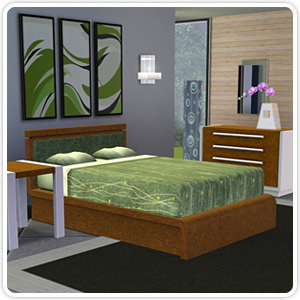 From the kitchen to the living room; the bedroom to the office; outfit your Sims home in a cohesive modern style. Get the most popular sets from 2010 at a very special price! 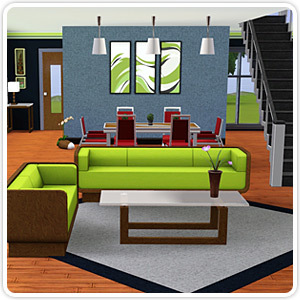 From sleek furnishings to whimsical décor your Sims can start 2011 off with style!